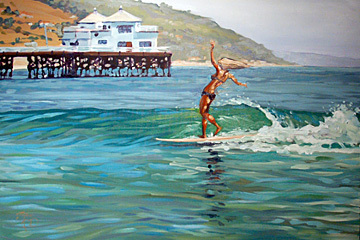 I paint full-time. 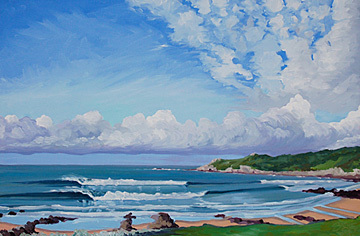 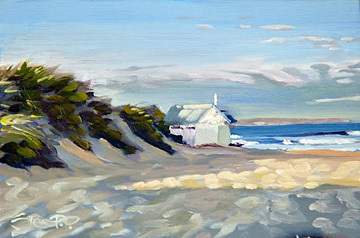 Mostly outdoors along the Devon Coastline, other times in my Woolacombe studio. 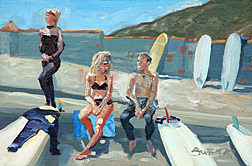 Fast drying Griffin Alkyd oils, allow me to produce a complete painting in one session. 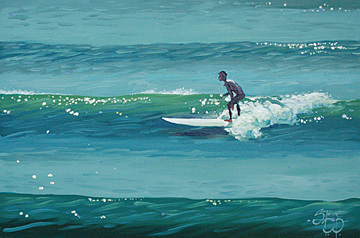 I love the process of immersing yourself in the moment and letting your senses take over. 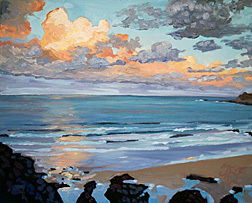 After a day's painting, I feel exhausted and at the same time hugely contented. 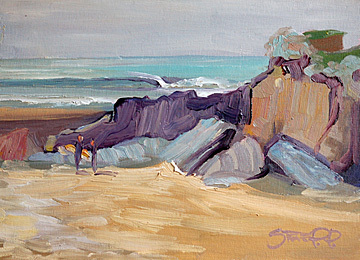 I also run courses and oil painting lessons outdoors on the coast. 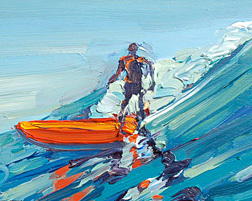 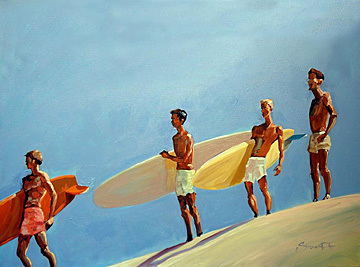 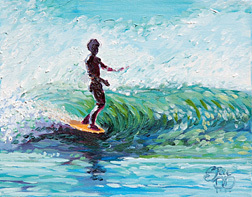 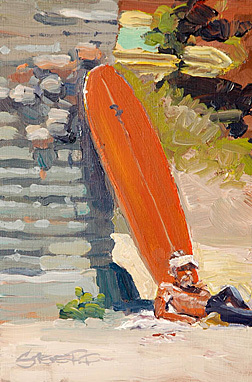 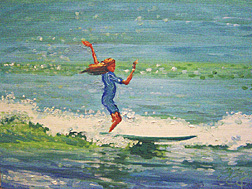 When I'm not painting, I like to surf, fish, cook, play 'ukulele and enjoy life with my wife and good friends.